– Find plenty of sizzle and shine in Prizm! Look for 9 parallels #’d/275 or less per box, on average! – Pull three autographs per box on average, including stunning Gold Vinyl (#’d/5) and Black Finite (#’d/1) parallels. – Chase rare hobby-exclusive Randy Moss Tribute cards that pay homage to every season of his legendary career and numbered to his jersey number for that season! 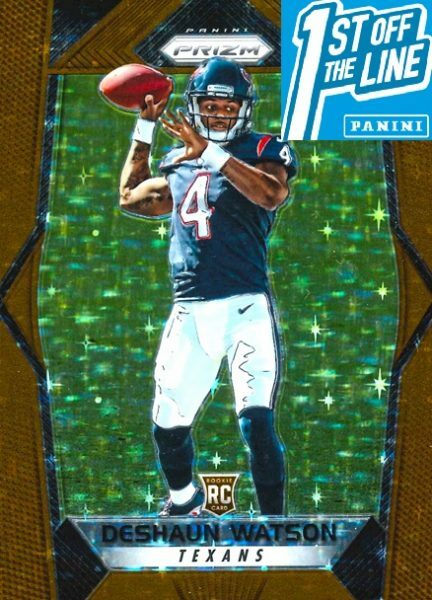 – Look for one Rookie Patch Autographs (#’d/99 or less) per case, on average, including stunning Gold and Black Finite versions! – Pull tons of new, stunning inserts in 2017, including Illumination, Stained Glass, Super Bowl MVPs and NFL MVPs! 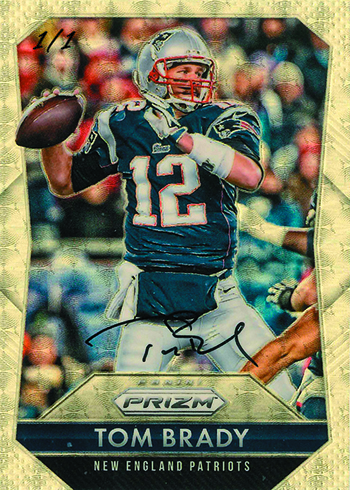 Pull at least 9 numbered Prizm cards per box, including short-print parallels of the league’s current and future stars! 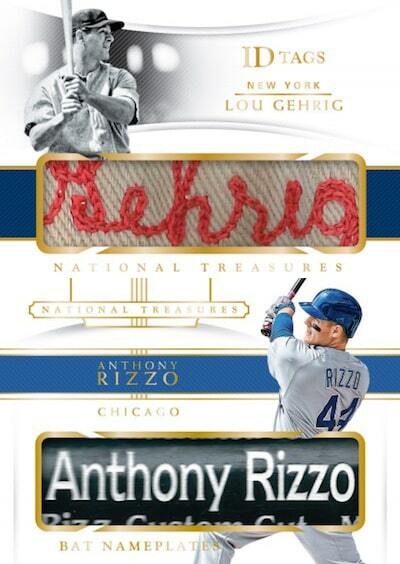 Chase one Rookie Patch Autograph per hobby case, on average! Collect the 15-card set that honors the career of Randy Moss – one card for each of his 14 seasons, plus a career retrospective autograph #’d/25! Find three autographs per box, on average. New in 2017 – Green Scope, Purple Crystals and Red Power parallels! 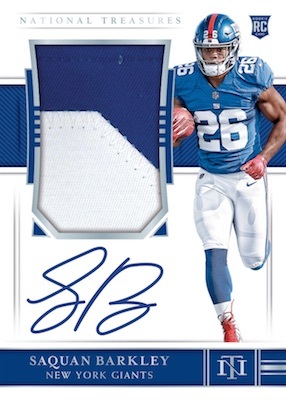 Look for stunning new inserts featuring the league’s best past, present and future superstars! Chase rare Gold Mojo and Black Finite parallels!